Displaying a surprisingly optimistic outlook for a project that listens to as much Nine Inch Nails as this one, the producer of that notoriously troubled Crow remake tells Variety that the film is still on track to shoot early next year. That’s despite it not currently having a star—Boardwalk Empire’s Jack Huston, the latest in a series of actors to take on the role of The Crow, dropped out in June and has not been replaced—and the fact that the company that was supposed to bankroll it, Relativity Media, went bankrupt earlier this year. These are both minor details to producer Edward Pressman, however. 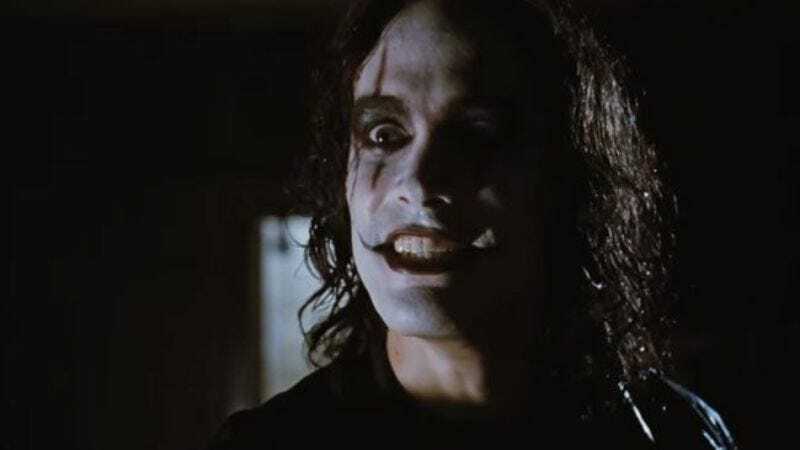 After all, he’s got a director, Corin Hardy, and they’ve been talking about who would be a good candidate to take over for the late Brandon Lee. Lee did die in an accident involving a dummy bullet cartridge on the set of the original film, so any superstitious actors are out. But past candidates for the role have included everyone from Channing Tatum to Tom Hiddleston, so clearly the production team is pretty open-minded. Maybe tarot cards should be involved? Or one of those novelty fortune-telling fish? Or travel back in time, go to a Skinny Puppy show circa 1992, kidnap the nearest sullen-looking fan, and make him the star of the movie. That’s probably the best option.